APEX Inflatables - Inflatable boats. ASEA Power Systems - Designs and manufactures power conversion equipment - phase, voltage, and frequency - for marine, military, and commercial applications. ATN - Spinnaker sleeves, tacker, gale sail, topclimber bosun's seat. B&G - Marine navigation and autopilot systems. Bennett Marine Video - America's largest supplier of boating, sailing, GPS, fishing, and navigation videos. Boating Industry - Internet source for the recreation marine industry. Boating Yellow Pages, The - Search for a marine business. Over 25,000 listings. BoatUS - Boat Owners Association of the U.S. web site. Includes online store, manufacturers links, towing servies, boat insurance, boat loans, store locator, auctions, yacht charter information and more. C-Map by Jeppesen - Electronic charting center. Emerald Marine Products - Maker of the ALERT 2, a safety system designed to notify the vessel if someone falls overboard by sounding an alarm on the boat within seconds of someone falling overboard, and locating them with the ALERT/DF Direction Finder. Equipped to Survive - Comprehensive independent reviews of outdoors gear and survival equipment. Furuno - Marine electronics, including the largest selection of commercial grade Radar, Sonars, GPS and Loran C, Plotters, Fish finders, Autopilots, Navtex, Weather fax, VHF & Single Side Band radios in the industry. Garelick Mfg. Co. - Marine products and accessories. Garmin International - Designs, manufactures, and markets navigation and communications electronics products worldwide. Genco Marine - Canada's biggest boating store, helping boaters (power and sail) with virtually everything but the boat itself. GPS, VHF, paint, foul weather gear, blocks, rope, cockpit cushions, hose, heads, anchors and more. Gill - Performance clothing; foul weather gear. Glacier Bay Technology - Advanced cooling and thermal control technology. Expertise includes marine refrigeration, high-performance thermal superinsulation, electronics cooling, electric and hybrid-electric vehicle climate control, and high-efficiency DC compressors. Grundens - Foul weather gear. Harken - Marine hardwware, apparel, and other gear. Helly Hansen - Technical and performance clothing. Henri Lloyd - Quality and high performance foul weather clothing for the sailing and yachting community. Jeppeson Marine - Quality electronic charting software, digital nautical charts, and chart training software for recreational and professional mariners. Lewmar - Marine equipment: winches, hatches, port lights. Magellan - Navigation and wireless communications systems; satellite access products. Maptech MapServer - Digitized maps and charts. Marinco Electrical Group - Manufacturers of electrical and harsh environment solutions for a variety of worldwide markets including: marine, RV, temporary power, heathcare mobility, and entertainment. Marine Turbine Technologies, LLC - Marine turbine installations. Mercury Marine - Outboards, stern drives, inboards and propellers. Monitor Windvane - A leading manufacturer of windvanes, selling self-steering systems worldwide. Nautical Software Solution - Navigation software. Nautical Technologies (The Capn) - The U.S. Coast Guard chose The Capn as its Electronic Charting System. This Windows 95/98/NT based software makes it easy to maintain an accurate and legal nav log, check compass for errors, track inventory, print out tides and currents - all the time viewing your boat's position on a NOAA electronic chart. Newmar - Electronic power products, communication, navigation. Nissan Marine Outboards - Boat motor products. Nobeltec - Marine navigation software and charts. Northstar - GPS- and DGPS-based navigation equipment. Obersheimer Sails - Sailing equipment, hardware, electronics and clothing. OceanPC - State-of-the-art marine computers, displays, and peripherals for complete PC based information systems, including electronic charting, sonar/fishfinders, weatherfax, and communications. Osprey Sailing - Exclusive U.S. and Canadian distributor of Jeantex sailing wear. Also, a Kiwitech dealer, the navigation, performance and weather routing software used by Whitbred, America's Cup and Around Alone sailors. Overton's - One of the world's largest water sports dealers: boating, watrer sports, PWC, SUV/Truck, apparel. P2 Marine - Specializes in sailing gear, rigging and marine electronics. Para-Tech Engineering Co. - Survival gear for cruising and commercial boats: sea anchors, Drogues for offshore cruising, boatbrakes trolling anchors for small fishing boats. Paul & Shark - High-tech apparel made of the latest technical materials. Peerless Industrial Group - The largest chain manufacturer in North America. Pioneer Research - Manufactures, imports, and distributes Steiner sport optics, binoculars, and SeaLife underwater photographic equipment. Specializes in Steiner outdoor, Military/Marine binoculars and scopes, Navy One marine binoculars and the SeaLife Reefmaster Automatic Dive Camera. ProFurl - Reefing and furling sytems. pYacht - Products from some of the world's most respected manufacturers of yachting equipment. Raytheon Marine - Marine electronics manufacturer offering wide range of products: Instruments, Autopilots, Radars, GPS, Navaids, Fishfinders, Safety and Communications Equipment, and more. Sailing Sources Index - Extensive San Francisco Bay Area sailing products and services search engine. Sea Frost - Galley refrigeration. Sebago - Shoes: docksides, classics, casuals. Shurflo Pumps - High performance pumps and fluid handling equipment. Simrad - Manufacturer of marine electronics for the yachting, fishery and coastal marine markets, incorporating the Simrad, Shipmate, Robertson and Navico brands. 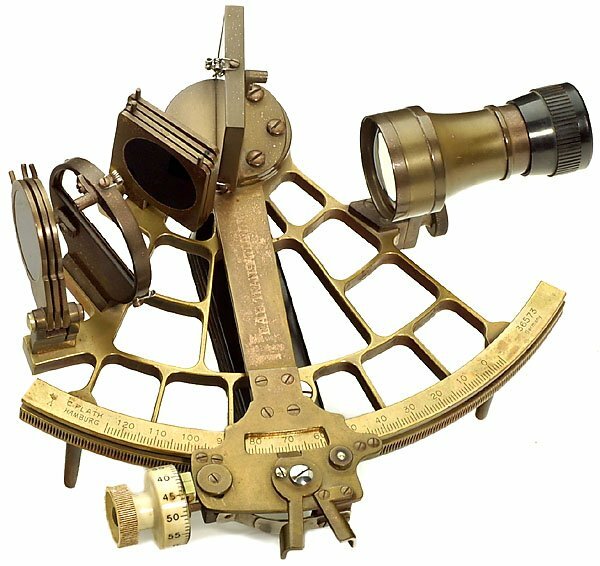 Starpath - Navigation tools and instruments. Steveston Marine - British Columbia marine and hardware store. Suppliers and Services Directory - From Superyacht Times. Technautics, Inc. - Marine refrigeration. Thai Teak Marine Co., Ltd. - Teakwood marine products, teak furniture and yacht fittings. Trident Marine System - Marine hose, wet exhaust, LP gas systems. Trojan Battery Company - A world leader in deep cycle battery technology. Applications include electric golf cars, floor machines aerial work platforms, and house loads on RVs and boats. Watersports Warehouse - Scuba diving equipment, wetsuits, snorkeling gear, sailing gear and more. Weems and Plath - Marine instruments, clocks, barometers, navigation tools, charts and software. Weihai Xiangda Marine Co., Ltd. - Located in WeiHai, China, a manufacturer specializing in inflatable boats. Its products include aluminum boats, RIB boats, Hypalon boats, PVC boats. Most products are ISO 9001:2000 and CE certified. West Marine - Specialty retailer of recreational and commercial boating supplies and apparel. Also, for nautical charts call West Marine Book and Charts in Sausalito, California. West System Epoxy - Epoxy resin and hardeners, dispensers, fillers, additives, reinforcing materials, application tools. Yachtingnet - Guide to powerboats and sailboats, gear, destinations, yachting news, and marine forecasts. Zodiac Marine and Pool - Inflatable boats, rigid hulled inflatables, sport ribs, rescue boats, patrol boats, military boats and life rafts.